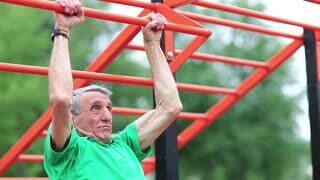 Man in gym working out, doing pull-ups on horizontal bar. 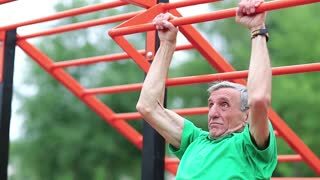 Strong young man making pull ups exercises. 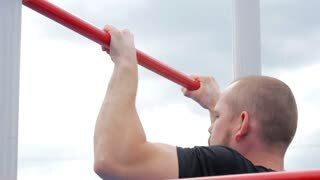 Close up of strong athlete doing pull-up on horizontal bar outdoors. Sport lifestyle. Image of a muscular man doing abdominal exercise at the gym.